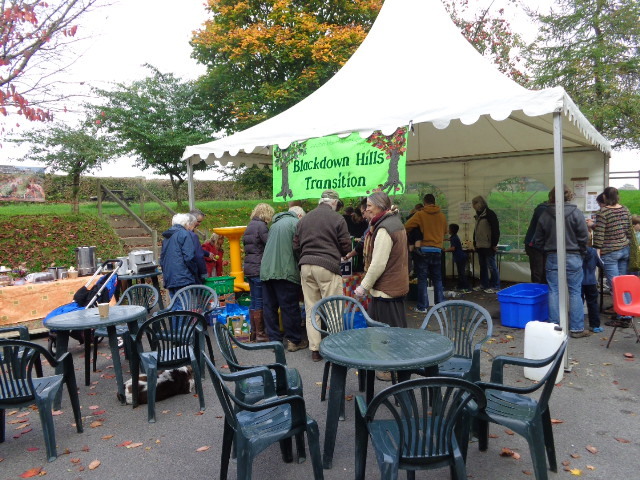 The Autumn is the time when the apples are at their best and through the Blackdown Hills Transition Group a couple of apple pressing days were organised this month. The first was held at Otterhead Lodge, next to Otterhead Lakes. We had quite a few Bramley apples from when we had to cut down the tree for the builders to dig drains across the lawn, so we took them along. Neil’s sister Carole was with us too, and she helped in the first stage which was crushing the apples. 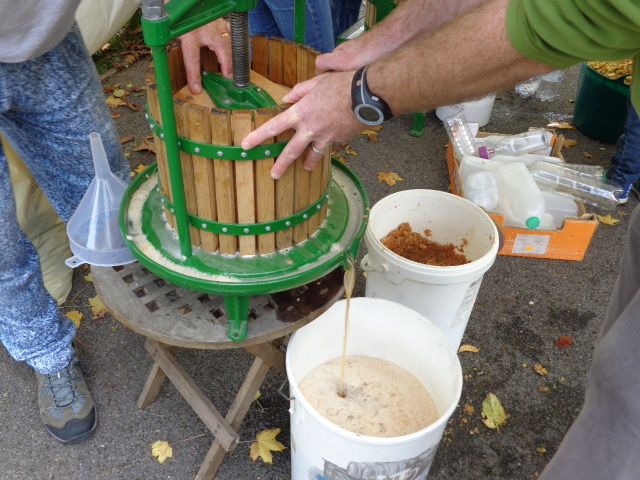 We then took the crushed apples over to the presses. 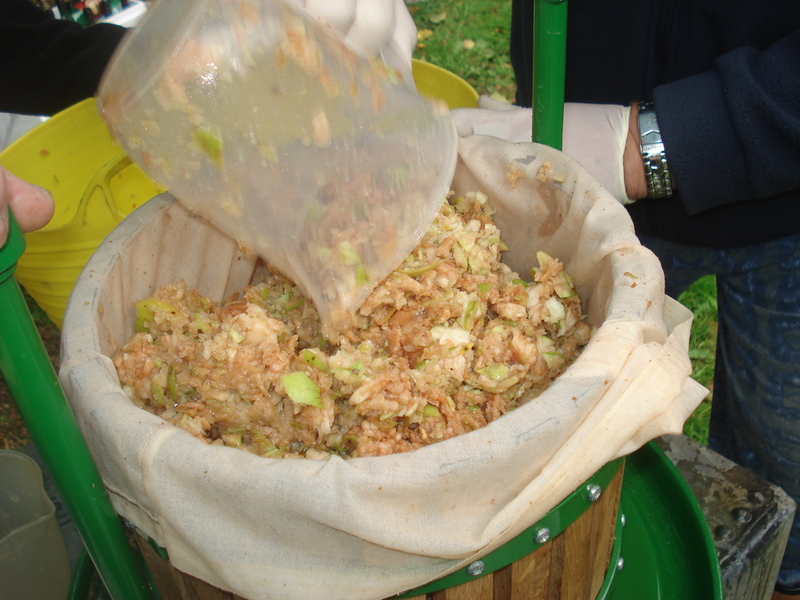 The first stage is load the crushed apple into the bag in the press and then tighten. 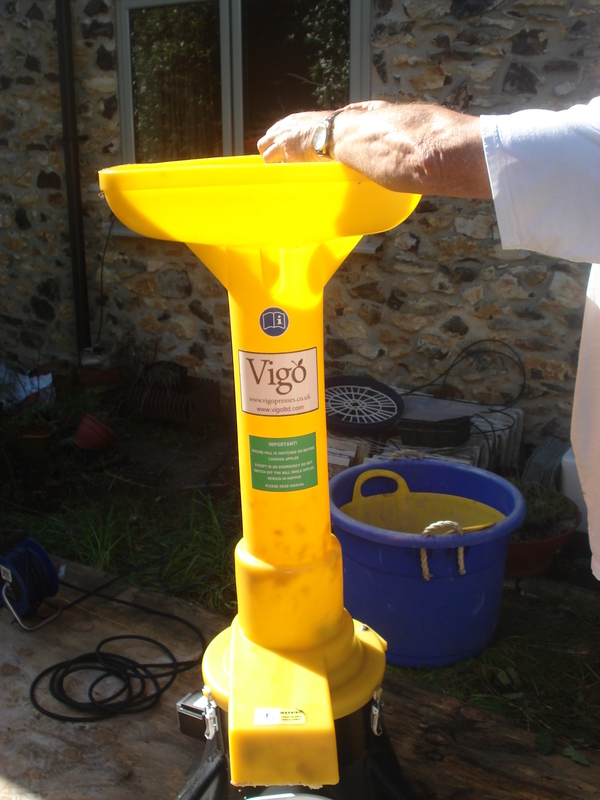 As you screw down, pressure is exerted on the crushed apple and the juice comes out the bottom. 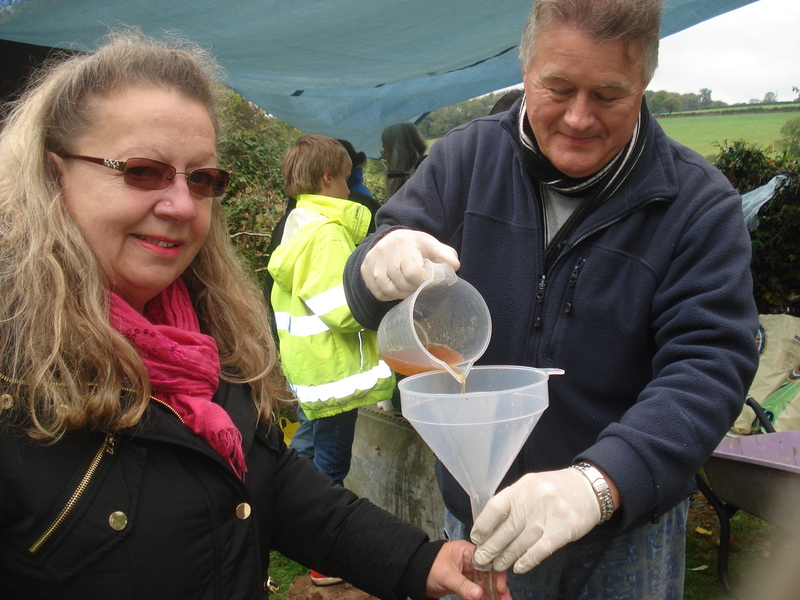 The juice is brown in colour as it has oxidised in the air. 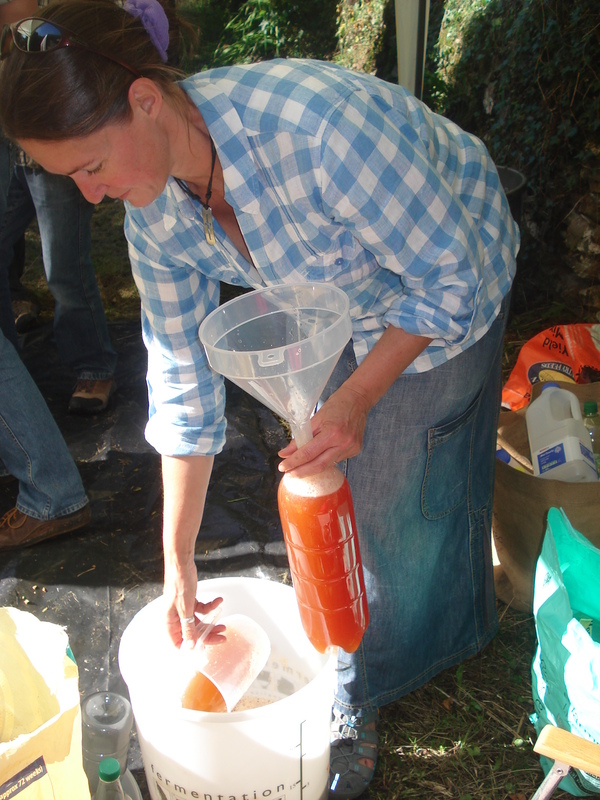 when we had pressed all our apple pulp we used jugs to transfer it into plastic bottles that could then go into the freezer. If you don’t freeze it but leave it out for a few days it will start to ferment and turn into cider. 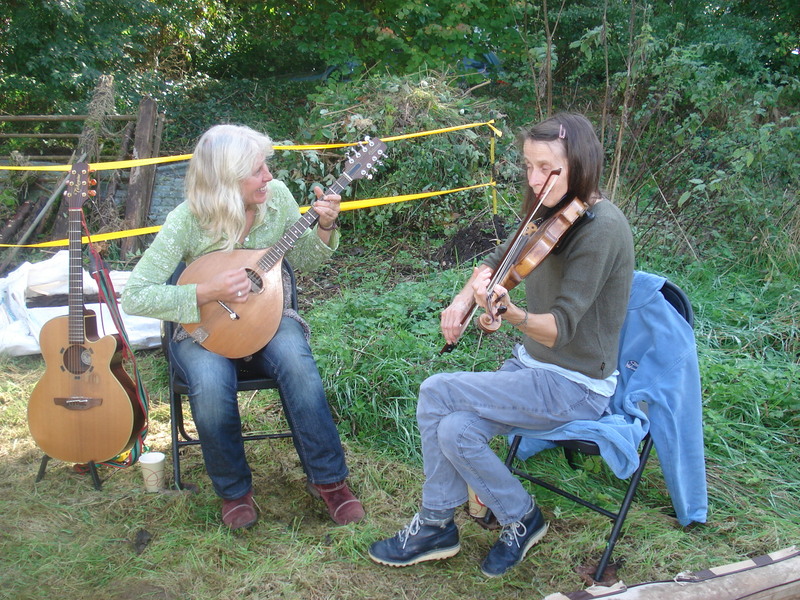 There was a nice atmosphere at Otterhead, with a camp fire, music, and food and refreshments provided by some of folk from Stentwood community whose apple pressing day was the following weekend. 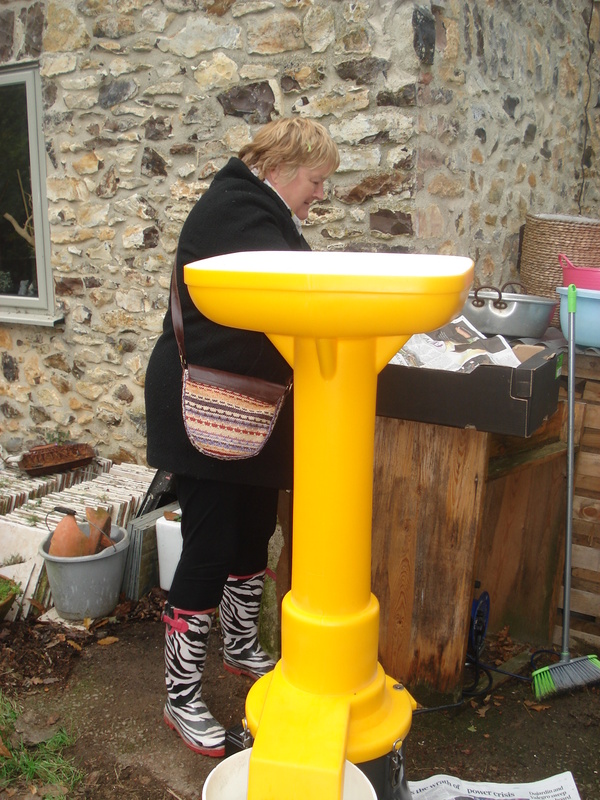 So this last weekend was Stentwood’s turn to host apple pressing. 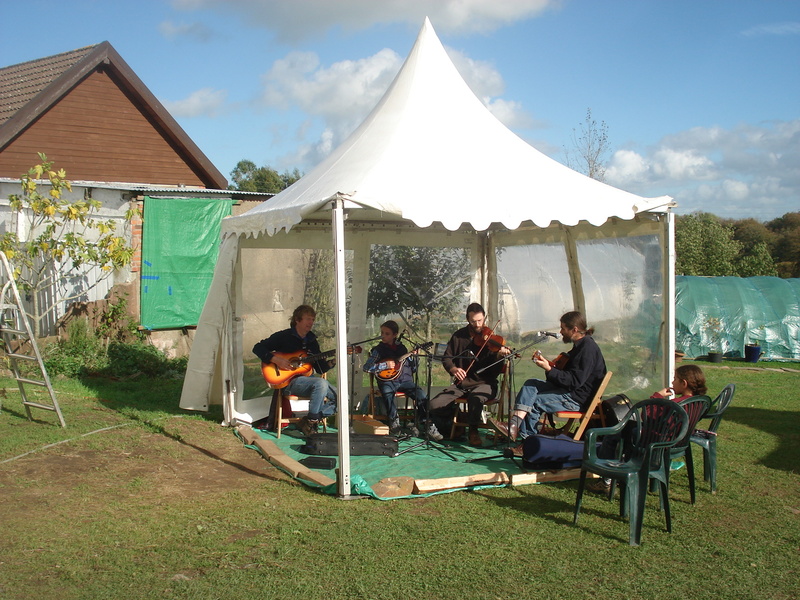 They had several marquees set up in case of inclement weather, but Sunday was sunny and a lovely day. 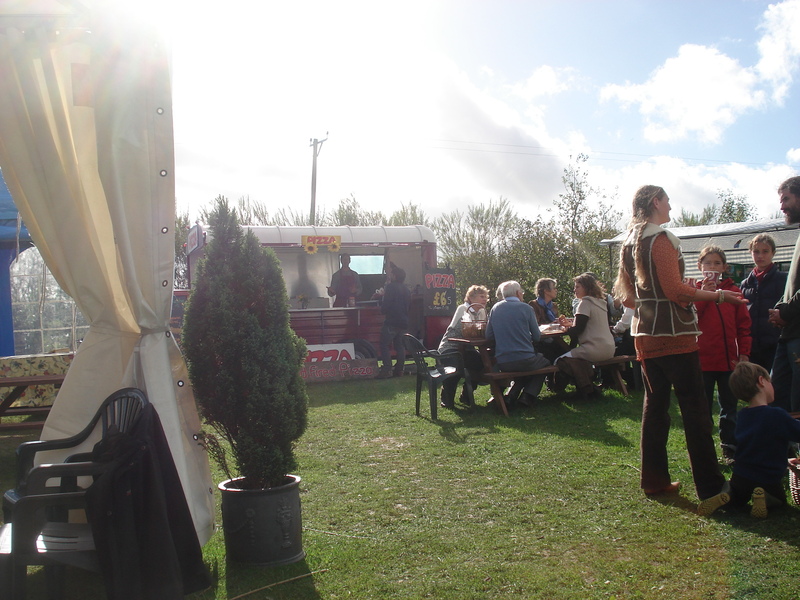 They were serving their wood fired pizzas, with warm spiced apple juice – delicious!! 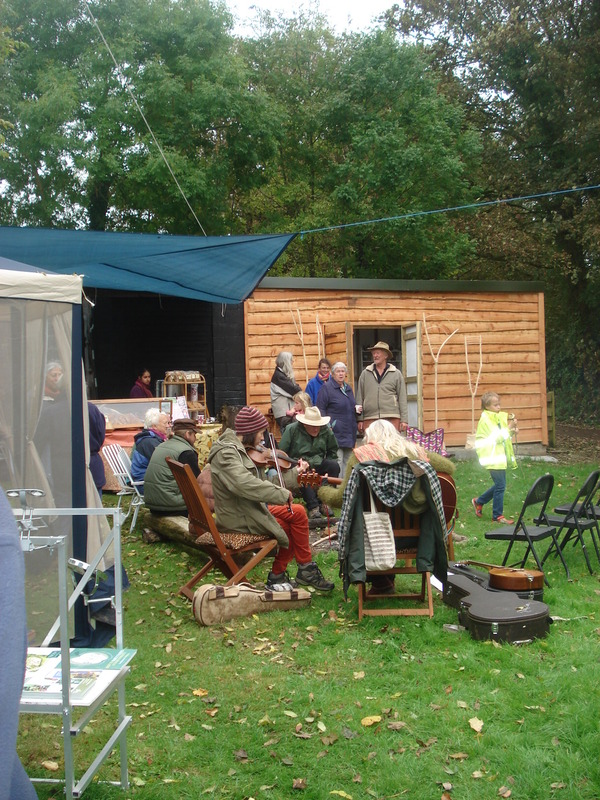 They also had a craft tent, a tent where you could try and then buy different types of apples, and live music. Again a lovely atmosphere and a nice way to wend away a couple of hours. The first of 3 Apple Days was held today at Otterhead Lodge, by Otterhead Lakes. We were so lucky with the weather, it was the most glorious sunny day, in marked contrast to earlier in the week when it rained like no tomorrow. 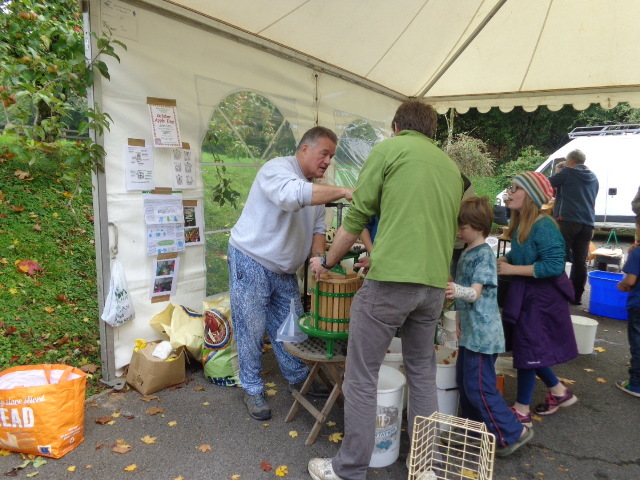 People brought along their apples to be crushed and pressed into juice. 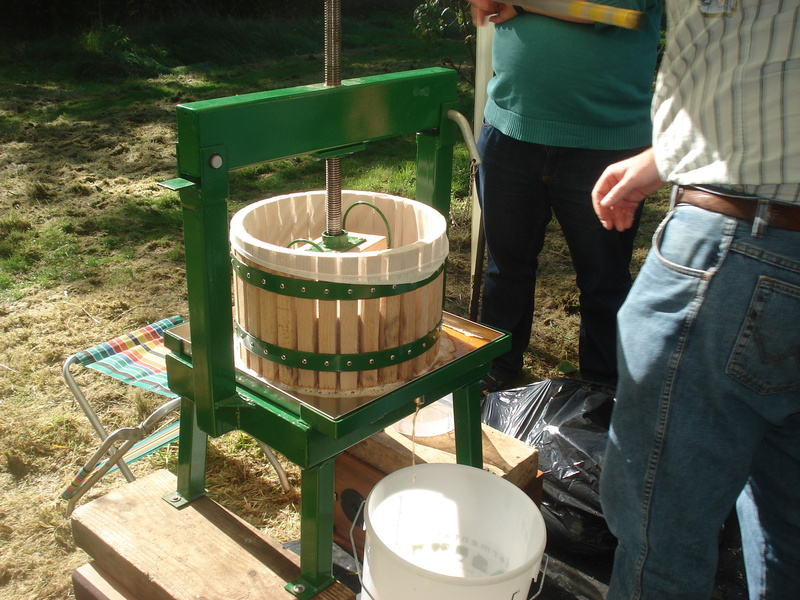 The first stage is to feed the apples into a crusher which produces apple pulp. 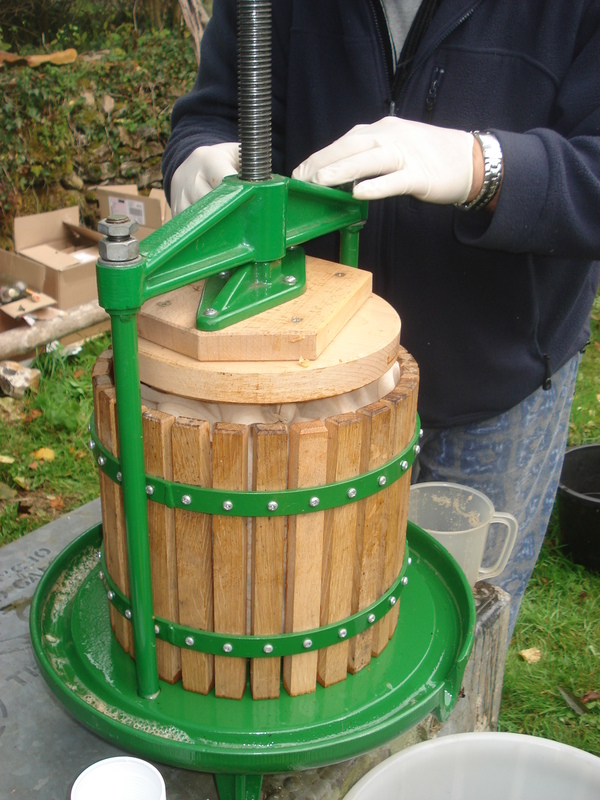 The pulp is then put into an apple press which produces the juice. 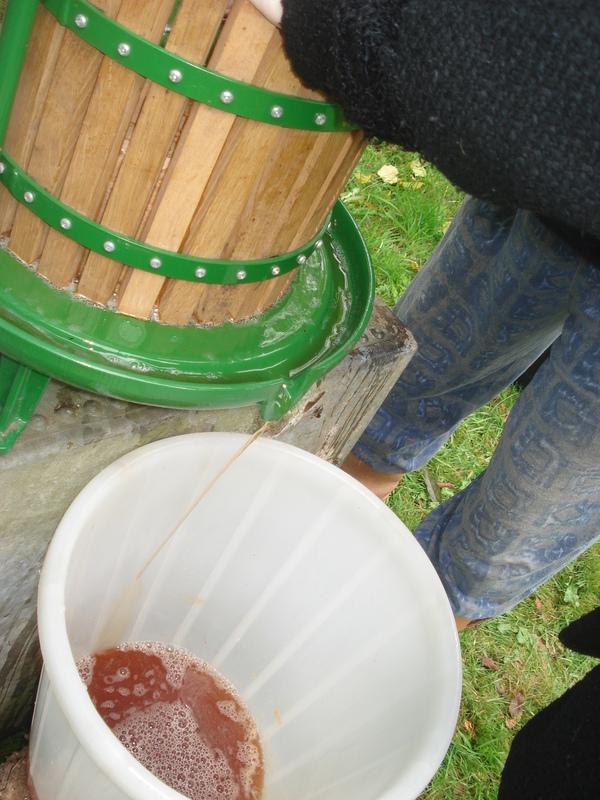 It’s inevitable that you get sticky in the process but who minds when you are producing lovely fresh apple juice. The next stage is bottling the juice. Unfortunately the apples oxidise very quickly and turn brown so the resulting juice is brown in colour but it tastes really lovely. Also today we had some musical entertainment from “Slapjack” a duet of guitar and violin. They played beautifully and were a lovely sound in the background. 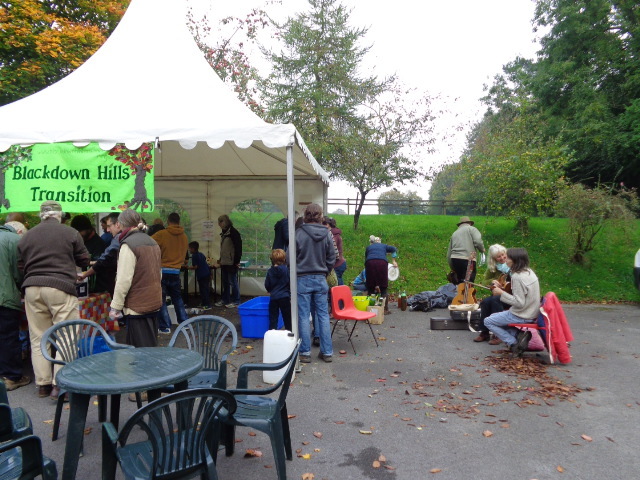 There was delicious apple cake and other goodies on sale, together with hot mulled apple juice, tea and coffee etc. 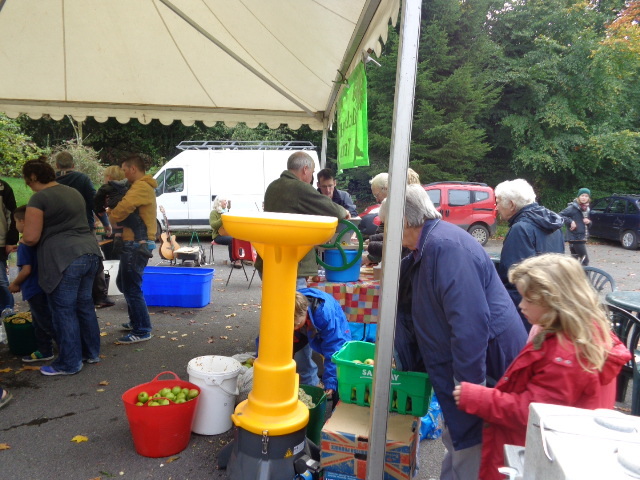 As it was such a nice afternoon lots of people turned out and many brought bins full of apples to press. If you bottle into plastic bottles you can freeze the juice, or if you prefer you can bottle into glass bottles and then pasteurise it by heating it up. 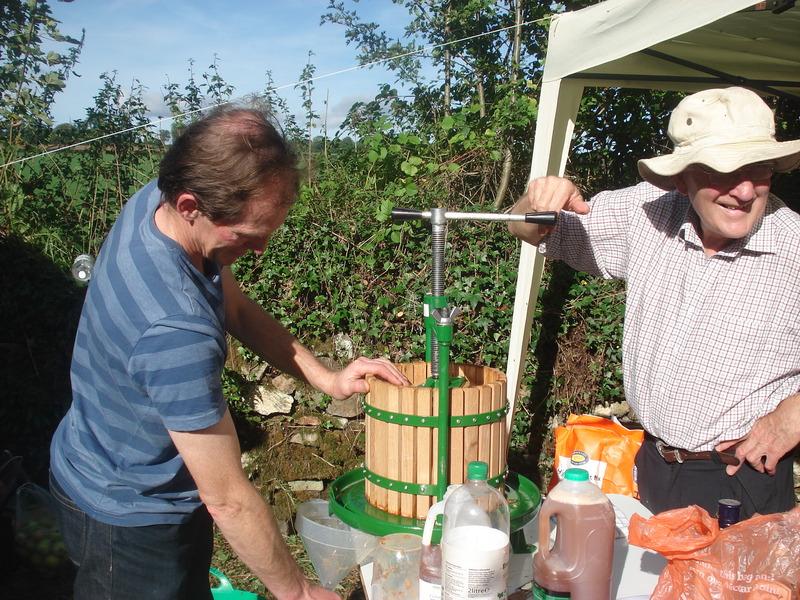 We just had some Bramley Apples to take along, but they make a lovely tart juice. So now we have to work out how to fit some of the bottles into the freezer, which is already full of stewed fruit from the garden!!. We still have some vacancies in the B&B in October so contact us for more details.